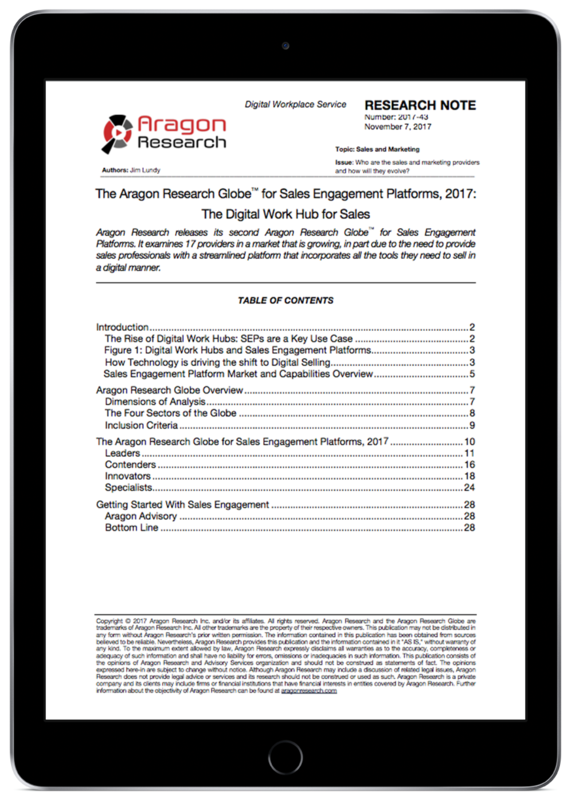 Bigtincan was again recognized as a leader in Aragon Research’s second annual Globe™ for Sales Engagement Platforms: The Digital Work Hub for Sales. The 2017 report examines 17 providers in the market and identifies Bigtincan as one to watch in guided selling and predictive content. The report also highlights Bigtincan’s ease of use, content analytics, Salesforce integration, mobile support and new learning and onboarding capabilities as its top strengths.